Consumer trends affect all industries, but perhaps none more so than fashion. 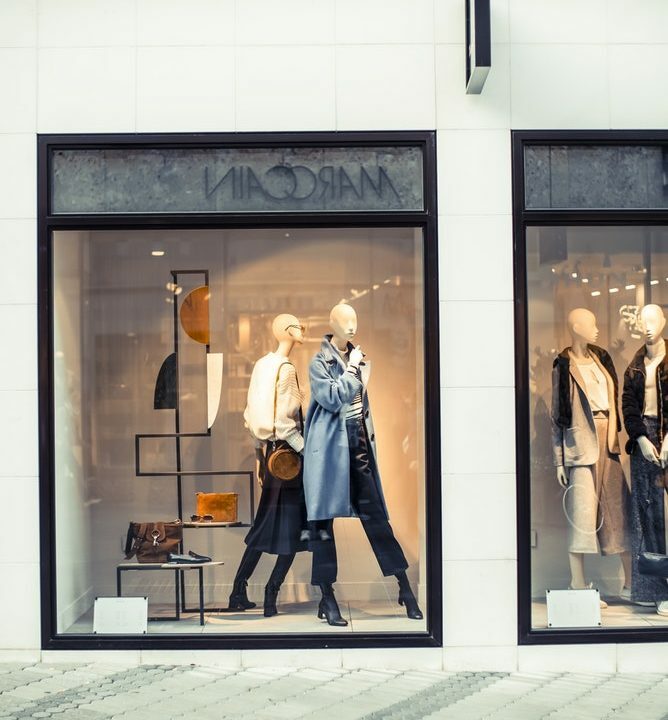 Public sentiment drives purchasing decisions, and fashion brands need to know what consumers want before releasing their next range. But while some brands get lucky with one or two particularly appealing designs, the top brands use data to anticipate and react to trends. This is part-science, part-artform. And to succeed in this hyper-competitive market, consumer insights need to be a central part of the business model. So we’re going to look at a few examples of brands doing this well. More importantly, we’re going to see how other brands can adopt this approach to gives themselves the same advantage as their peers. Here’s an extraordinary statistic: In the last ten years, all of the profit in the fashion industry has come from only 20% of those companies. Most brands barely break even or actually lose money. 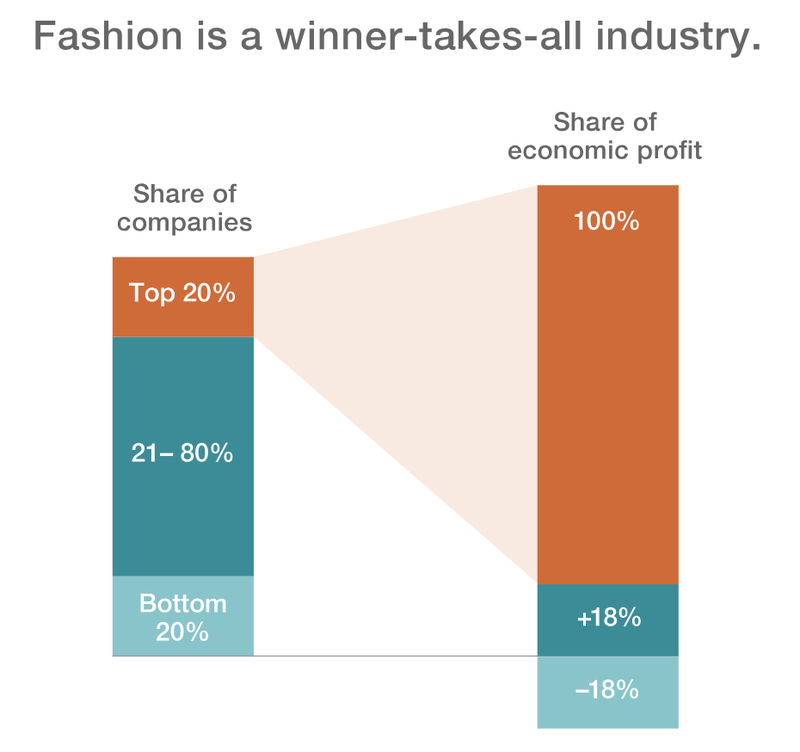 Research company McKinsey says this is now a “winners-take-all business.” You’re in direct competition with other fashion houses, and there’s only so much profit to go around. You literally can’t afford to lose customers. In that same report above, McKinsey looked for key drivers in the fashion industry. What separates that successful 20% from the brands that struggle? Top brands rely heavily on data analytics, especially early in the creative process. Industry leaders are quick to react, and release new products within eight weeks. This is vital if you want to react to consumer insights and trends. That’s why global brands are heavily investing in market research and other sources of consumer insights; in order to succeed as a global fashion mark, you need access to good, timely consumer data. You also need to be able to put this data to use quickly, before a trend dies out. We’re going to look below at how to get this data online. Since consumers spend so much time on social media and the Internet, these have become essential sources for insights. But first, a quick refresher. We saw above that data is crucial. But more than just information, brands need to look for true insights into their buyers in order to serve them better. These are just the numbers - the points of information you have about your own buyers and the industry. Data can be incredibly useful if you can glean genuine insights from it. You’ll also have plenty of data that you can’t do a whole lot with. These are more the result of good data, rather than the data itself. By gathering information, you learn more about your buyers and are able to make real changes to your products and services. And that’s critical - if you can’t make changes based on your new data, it’s not an insight. Smart brands are constantly looking for insights to help them improve their marketing and communication messages, and especially to improve the products themselves. To learn more, here’s an excellent short guide to consumer insights on social media. This is a mixed blessing for businesses. On the one hand, buyers are actively looking for new brands to wear. 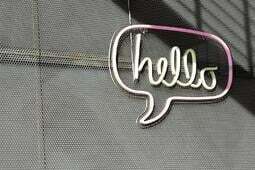 They no longer simply walk into a store and ask a shop assistant for help. They research, read reviews, and look for the perfect items to match their personality. Having smart shoppers can clearly be a good thing. If you know people are looking for certain things, you have a good chance of reaching them in their search. But at the same time, brand loyalty is now less of a guarantee than ever. In fact, Amazon is seeing huge retail success on the back of private labels. Many consumers don’t even care that their purchases are branded at all. As long as something looks the way they want, they’re happy. And buyers’ options feel endless. They can have goods shipped from virtually anywhere, whenever they want them. The fashion world is at their fingertips. Figure out how to offer products that suit them now. You need to adapt products to suit current trends. You also need to change to match the way that people buy - better in-store experiences, simple online shopping, and reaching buyers through social media as they’re considering a purchase. Your ability to find consumer insights will be vital. But more on this shortly. First, let’s look at an example of the way that shopping habits are changing. We saw above that quick reaction times are essential. Traditionally, fashion houses would try to project the coming trends. They would have a go-to-market lead time of up to one year, without much room to make changes before that. This just isn’t viable anymore. “Fast fashion” has brought about a new mindset. The philosophy is that clothing needs to be produced quickly (and often cheaply), and that consumers should be quick to move onto the next item. Clothes aren’t meant to last seasons. Short lead times. This keeps its range up-to-date with current trends. Limited supply. Zara sells less of each item, but there is always a new item waiting to be released. More styles available. Rather than selling more of each individual style, it brings out new ranges constantly. As in, more than twice a week! The result is a clothing range that’s adaptable, always fresh, and lets buyers have “unique” looks despite being a mass-market retailer. The chain relies on feedback from all stores: "Store managers communicate customer feedback on what shoppers like, what they dislike, and what they’re looking for. That demand forecasting data is instantly funneled back to Zara’s designers, who begin sketching on the spot." This data tells it which items are the most popular on a daily basis. This gives tangible insights to help it plan the next release, based on what’s favored right now. It couples these in-store insights with a highly active social media presence. Consumers are quick to comment and share their favorite new styles, and Zara can use these reactions to keep delivering successful products. 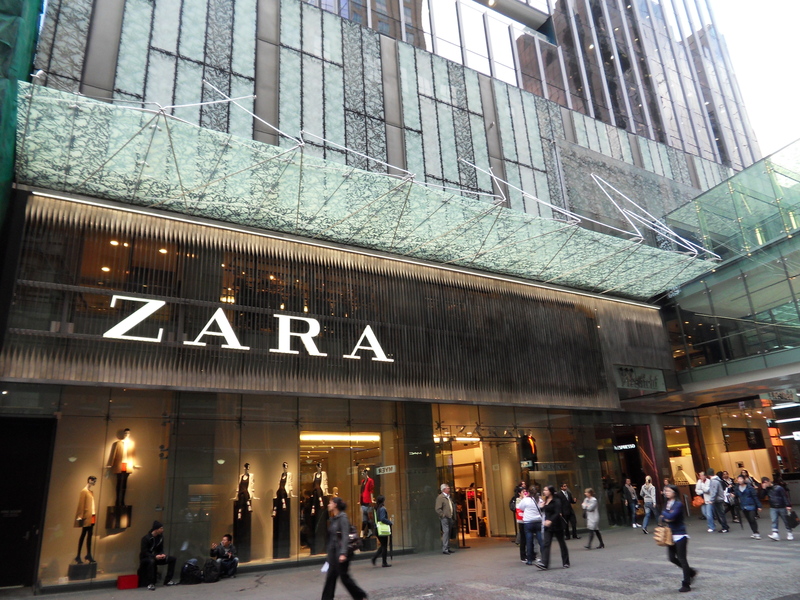 Zara’s sales have increased 12% per year for the past 15 years. And in an industry where brick and mortars are struggling, this is even more impressive. Customer segmentation has always been a part of running a fashion brand. In many cases, the segments are obvious: we have different sizes and styles for men, women, and youth; certain retailers appeal to older generations or specifically to teens. What has changed is the ability - the necessity, even - to identify specific “tribes” within these segments. Just as you don’t often create one-size-fits-all clothing for women, you can’t appeal with a one-size-suits-all brand image. Fashion houses need to focus more than ever on tailoring (pun intended). To help them identify trends and figure out their messaging, brands rely again on social media insights. 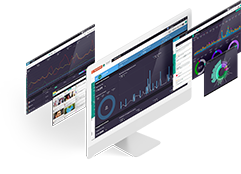 This lets them see what specific customer segments talk about, care about, and want to see more of on social media. Top brands couple this with in-store and online sales data, and let their talented designers create clothing that specific buyers love. One such trend is the growing popularity of “dad shoes”. These chunky, retro-styled shoes have become a must-have fashion choice all over the world, and one of the fastest-growing items in the luxury market. But they’re not for everyone. While sales are through the roof, plenty of shoppers are turned off by the bright colors and larger-than-life appearance. Unlike other recent successes like Adidas’ Stan Smith or the Nike Free, dad shoes aren’t supposed to appeal to the masses. They’re too expensive, and too garish. So who are they for? Onlines mentions of the trend come overwhelmingly from males aged 18-24. While these aren’t the only buyers, this is an ideal segment for streetwear brands to target. They know who they’re talking to, and can easily monitor these conversations to find out what buyers love about the shoes, and what would make them buy more. We’ve already gone in-depth on this trend in another post, and you can find more detailed research in our Dad Shoes Report. We’ve just seen a couple of good examples of how valuable consumer insights can boost sales. The question remaining is, how can brands easily get these insights for themselves? There’s no media as up-to-date as social. Shoppers share their latest purchases and deepest desires in real time with anyone willing to listen. In this case, that needs to be you. Unlike traditional focus groups and surveys, social media gives instant buyer feedback on virtually any topic you can imagine. You’ll find not only comments on your latest products, but also common themes among your top target segments. 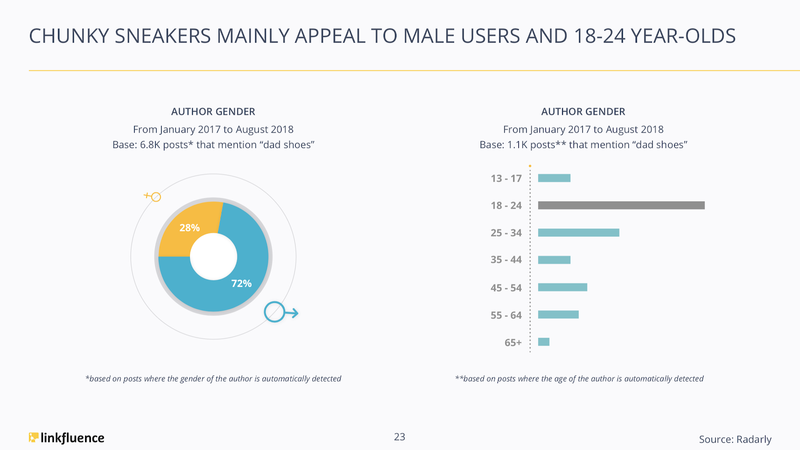 Brands can quickly see who’s discussing this item most, their age and gender, and other key topics associated with the term. You could also limit this search to only include women, for example, or Millennials, and see whether a leather jacket might appeal or offend this segment. It may surprise retailers to learn that J.Crew and Michael Kors are talked about more on social media than Ivy Park or Zara. They can then dive into conversations about those specific brands try to identify the characteristics that make them more popular. 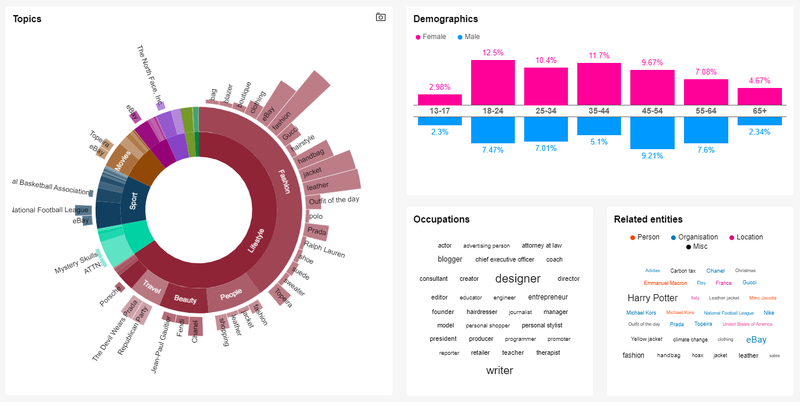 You can also find out what’s the most common occupations of your target segment, what’s their favorite online platforms, and other behavioral and demographic information that will help you better target them. In fact, a close look at other industry brands can tell you a lot about your own. If you know what their customers say about them on social media, you can quickly figure out the best aspects of their product and marketing strategies. You can also identify key segments that you might be missing out on. 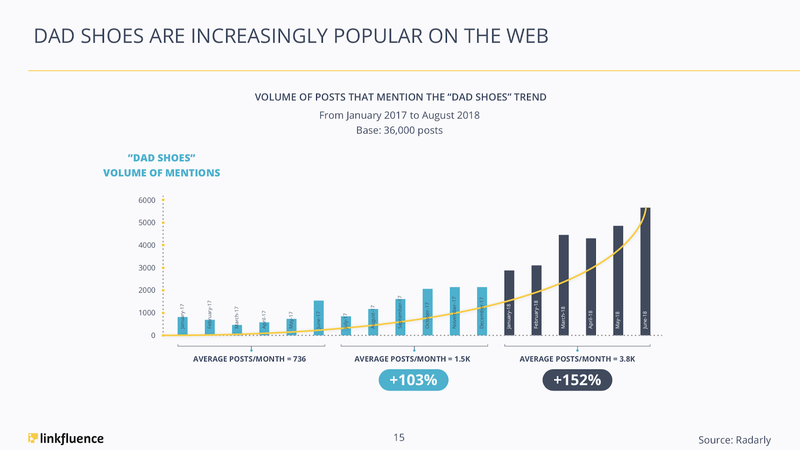 For example, if you discover that a competitor sees a lot of social media chatter in eastern Europe or Asia, you may consider increasing your efforts in these markets. What caused this sudden jump in mentions? Were they positive or negative? And if they were positive, can you replicate their strategy for your own brand? All of these conversations are out there in the open. You can easily learn exactly what motivates your competitors’ customers, which of their products they love the most, and which markets they’re having the most success in. Social platforms are nothing new for top fashion labels. You already know how powerful social media influencers is for brands, and how effective social is to spread your marketing message. That helps you speak out and get noticed. But have you noticed the wealth of data and insights available to you through social media? All you need to do is pay attention. 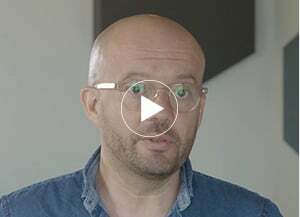 Tools like Linkfluence Search and Radarly can help you mine the billions of social media conversations and find consumer insights that will actually help. To find out how it works, simply talk to us. 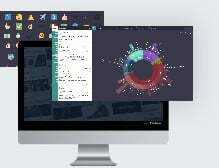 We’d love to help you make smarter business decisions, immediately.